Hyderabad-based education technology startup Jay Robotix Pvt Ltd has raised Rs 1.56 crore ($250,000) from Cross Border Angels (CBA) and the family office of Singapore-based Thakral Group, sources told Techcircle.in. This also marks the maiden investment by CBA in an Indian company. CBA is an international angel network promoted by San Francisco Bay Area-headquartered Scaale group. It had launched Indian operations a year ago. When contacted, founder and CEO of Jay Robotix Sudhir Reddy, confirmed a fundraise but declined to comment on the amount. He said the company is now looking to raise its Series A round soon which would be used to expand into markets such as North America and Japan. Founded by Reddy in 2010, Jay Robotix has built Robox line of educational robotic kits for school children up to 12th standard. 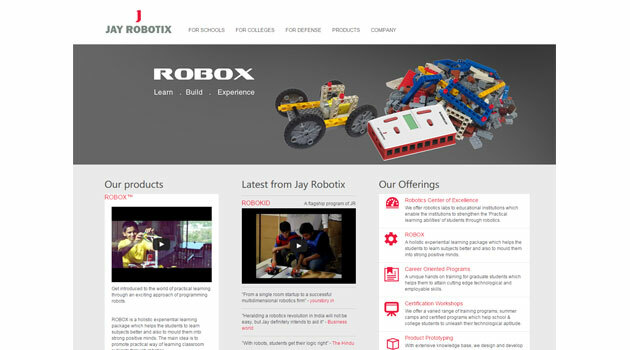 The company claims it has trained 15,000 students in India, offering practical lessons in science, technology, engineering and maths through activities on Robox. The firm recently moved its headquarters to Singapore to tap the Southeast Asian market. Reddy, who has a master's in Robotics from Florida University, the US, had dropped out of his PhD programme to start this company. "We see Jay Robotix as a company with huge potential for international expansion," Ashwin Sanzgiri, vice president, capital group, Scaale, said. He also declined to comment on the investment amount. CBA was founded by US-based serial entrepreneur Kaushal Chokshi. It has got angel investors based in India, the UK and the US and is connected to incubators across Europe, South America and Asia. Indian members in CBA include former UTV Movies head and Chrome DM founder Pankaj Krishna, Atom Technologies' founder Dewang Neralla and FineLine founder Rohit Gupta. Recently, CBA invested $150,000 in New York-headquartered crowdsourcing media marketing startup SpringLeap in a round in which it raised a total of $650,000. It has also backed other ventures like ad-frauds shooter Enbrite.ly; enterprise-focused video streaming venture MediaPOINTE and London-based cloud hosted game development platform Playcanvas.